Mr Sue is a fellow of the Hong Kong Institute of Certified Public Accountants, a certified practising accountant of the CPA Australia, a fellow of both The Hong Kong Institute of Chartered Secretaries and the Institute of Chartered Secretaries and Administrators and an ordinary member of the Hong Kong Securities and Investment Institute. He graduated from the University of Sydney, Australia with a Bachelor of Economics degree and holds a Master of Science in Finance degree from the City University of Hong Kong. Mr. Sue has been the Chief Executive Officer of EPI (Holdings) Limited since October 19, 2016 and as its Executive Director since October 18, 2016. Mr. Sue has been Company Secretary of China Strategic Holdings Ltd. since April 1, 2015 and Executive Director since December 1, 2014. Mr. Sue has been the Executive Chairman of Courage Marine Group Limited since October 14, 2015. He has been an Executive Director of Birmingham International Holdings Limited since October 15, 2016. He serves as an Executive Director of Poly Development Holdings Ltd. He served as the Chief Executive Officer and Executive Director at Enviro Energy International Holdings Limited since June 08, 2015 until October 7, 2015. He served as an Executive Director of Tianli Holdings Group Limited (formerly Eyang Holdings Group Co. Ltd.) since July 3, 2015 until November 8, 2016. He has served as Non-Executive Director since November 8, 2016. He served as the Chief Executive Officer of Sunlink International Holdings Limited (now Hailiang International Holdings Limited) since March 1, 2012 and served as its Executive Director from February 2012 to June 03, 2014. He also served as the Chairman at Sunlink International Holdings Ltd. from September 11, 2012 to June 3, 2014. He served as the Chief Executive Officer of Skyway Securities Group Limited (formerly Mission Capital Holdings Limited, Poly Capital Holdings Limited) from November 19, 2009 to October 31, 2014 and Executive Director from November 20, 2007 to October 31, 2014. He served as the Chief Executive Officer of BEP International Holdings Ltd. from August 2009 to January 10, 2014 and Executive Director from July 15, 2009 to July 13, 2015. He served as the Chief Executive Officer of China Yunnan Tin Minerals Group Company Limited from September 2005 to January 18, 2010 and Executive Director from August 9, 2004 to January 18, 2010. He served as Company Secretary of GT Group Holdings Limited (formerly China Yunnan Tin Minerals Group Company Limited ) until July 4, 2005 and its Qualified Accountant until November 2008. He served as an Executive Director of Winshine Science Company Limited since October 3, 2009. 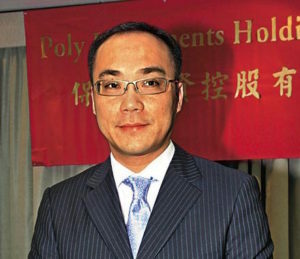 He served as the Non-Executive Chairman of Winshine Science Company Limited (formerly China China Tycoon Beverage Holdings Limited, Tycoon Beverage Holdings Limited, Winshine Entertainment & Media Holding Company Limited) since November 2009 until November 27, 2014 and Non-Executive Director from November 2009 to November 27, 2014. Details correct as of December 25, 2016.